Edinburgh is blessed with around one hundred and fifty parks. From play parks to botanical gardens and hill parks to nature reserves, there’s something for everyone. I’d like to share with you my own top six. I hope you too will explore them or any other of the city’s green spaces, whether for the first time or for a revisit. The first three to become personal and lifelong favourites were parks I visited when I was growing up in Edinburgh in the 1960s. They were all close to my tenement home on the city’s south side. There was the swing park in Morningside Drive. A tree-lined park still enjoyed by local children and adults today. Just as now, there was play equipment and tennis courts. Unlike now, however, there were no all-weather football pitches, picnic tables or sensory garden. There was also no nice soft rubber surfacing beneath the swings and the merry-go-round. We jumped off moving swings and we dangled upside down from the spinning and tilting roundabout. And if we fell, we landed on hard, unforgiving concrete and gravel. I remember being shouted at by the parkie. He’d emerge from the park-keeper’s hut to chase any of us who dared infringe any of the rules including coiling the swing chains around the top bar of the frame they hung from. 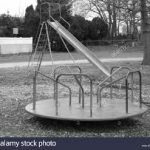 But most of all I remember the great fun and freedom of being at the swing park and I’m heartened to see it still provides the same opportunity to youngsters today. I also went to the Braidburn Valley Park at Greenbank. 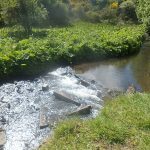 As children, this was where we took our fishing nets to guddle in the Braid Burn for tiddlers. Nowadays you’re more likely to see cyclists, joggers and walkers there, rather than paddling children, but just as it always did, it still provides a quiet, accessible and green breathing space in an otherwise bustling area of town. Just across the main road from the Braidburn Valley is another park with the Braid Burn flowing through it. The Hermitage of Braid is a local nature reserve. It’s where my classmates and I were taken to bird watch, to do bark rubbings and to collect leaves. And more recently it’s proved a popular destination for walks with my grandchildren. It’s a place where they can run free, bring fishing nets and spot kingfishers, otters and herons. Walking through the Hermitage will take you through woods of ash, beech and sycamore. You also go past a farm, a golf course and a field with friendly horses. Alternatively you can come off the path at the side of Blackford hill and climb to the top for a magnificent view over the capital and beyond over the Forth to Fife. And when you’ve finished identifying all the landmarks you can head down to Blackford pond where you can feed the ducks and swans that live there. The north side of the city also has many beautiful gardens and parks. I lived in the Trinity-Inverleith area for more than twenty years and it’s where my children grew up. And so, not surprisingly, it’s in this area where my remaining three favourite parks are. There’s the compact Starbank Park, at Newhaven. Local children, including my own when they were young, roll their Easter eggs down the park’s steeply sloping bank. 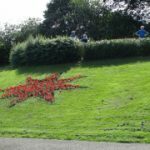 It’s also on the banking that the Star of the Sea maritime symbol is annually recreated in flowers. The park is small, but it’s a great place to sit and stare and to watch the comings and goings of all sorts of boats, from container ships to sailing dinghies, out on the Firth. Inverleith Park, on the other hand, covers a large area and has something for everyone. Its wide paths provide plenty space for children and adults. Walkers, joggers and cyclists all pass through. There’s a well-maintained and popular play area, football pitches, a pond with swans, and even a bowling green and allotments. And on the other side of Arboretum Road from the park there are the Royal Botanical Gardens where, despite the proximity to busy city streets, you’re scarcely aware of traffic or any other urban noise. The Botanics are quite simply magnificent, magical and memorable. There’s a palm house and glasshouses. There’s an alpine rock garden, a mighty herbaceous border, a woodland garden, a Scottish heath garden and, my own favourite, the Chinese hillside with its waterfalls and pavilion. You can enjoy the cafes and the well-stocked gift shop. But best of all is the peace and tranquillity. No matter how busy the gardens get, you can always find a quiet spot in which to pause and have your equilibrium restored. So that’s my top six. Do you have any favourite city parks and what makes them special to you?